For questions about meal plans, WhoCash, and ID's. For questions about dining hall hours, what's on the menu, what's coming up. If something is broken or not working correctly in your room or your community let Facilities know so that the problem can be addressed. 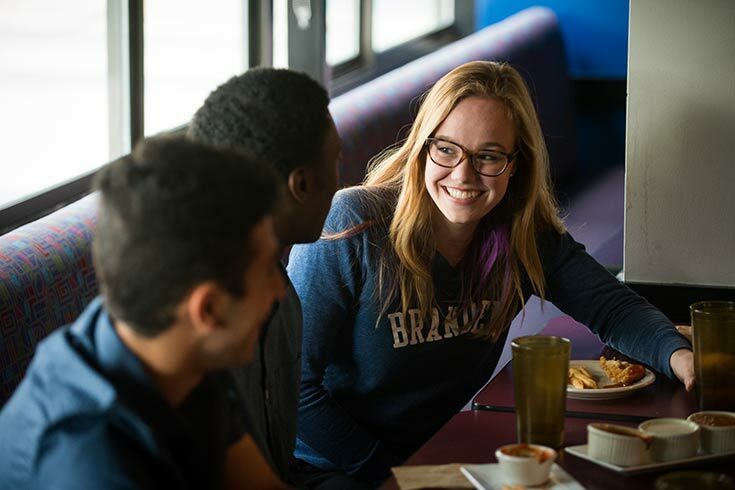 Residence Hall Linens offers linens that are guaranteed to fit Brandeis University beds, as well as towels and other bathroom essentials, all available in a great selection of colors and patterns! Linens can be delivered to your home so that you are ready to move right in come August. Approved by Brandeis as a safe unit to use in residence halls, MicroFridge (combination refrigerator, freezer, and microwave oven) is the perfect way to have easy access to food, drink, and meal preparation right in your room. There is even an outlet to charge your phone or laptop! Mac-Gray services all of our laundry facilities on-campus.